5. Cato Major: Cathargo Delanda Est! The metal genre has always shared a relationship with history and historical events; the likes of Iron Maiden and Sabaton have been creating songs covering historical events for years. Warfare has long been a hunting ground for metal outfits, especially the likes of pre-gun warfare, and the clash of steel-on-steel has provided the backdrop to many a heavy metal record. 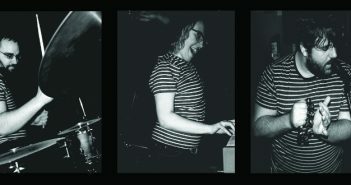 Ex Deo writes and performs tracks about the Roman Empire, and utilise big, pompous sounds to evoke imagery of their brand of historical metal. The band announced an indefinite hiatus back in 2014, but triumphantly returned with The Immortal Wars; presumably after over a year without any orgies, epic battles and glorious feasts, they decided they should hit the studio again. This is an album that focuses on the Punic Wars, a time where the Roman Empire was still developing. Throughout its eight tracks we are told tales of the battles between Hannibal and Scipio Africanus. This is a heavy, interesting record that easily evokes powerful images of Hannibal’s battles, conquests and defeats. 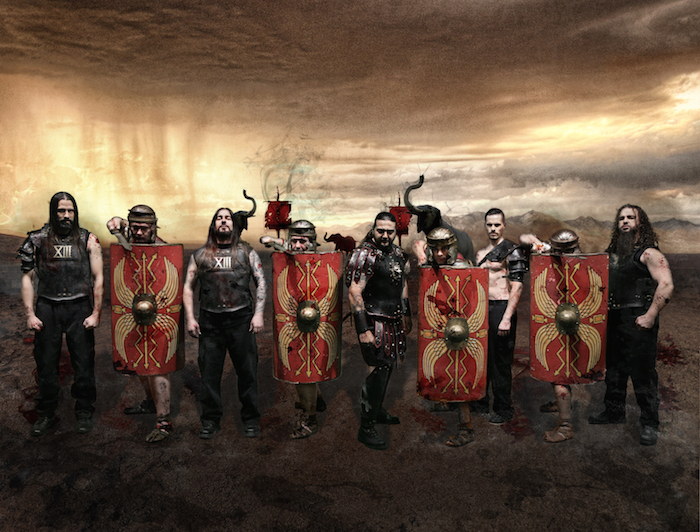 The band plays to a type of heavier, chunkier symphonic extreme metal evoking the themes of the Roman Empire. Their sound carries an epic feel to it, sharing much in common to the likes of Turisas’ epic concept album, The Varangian Way in the way both records tell their stories. Ex Deo’s brand of historical metal is one that shouldn’t put those off with an aversion to symphonic moments. Peel away the layers of its grandiose noises and battle effects and you’ll find an industrial-metal-sounding heart pounding away. It’s heavy, fairly simple and easy to get along with. Sure, there’s a lot of pomp surrounding Ex Deo’s sound, but it adds to the simpler military-esque riffs and battle cries. Stéphane Barbe’s guitar work is not the most technical, but the riffs make up for it with muscle, and he has a penchant for a fine solo – ‘The Spoils of War’ shows this in abundance. Leading Ex Deo into battle however, is Kataklysm frontman Maurizio Iacono (indeed, Ex Deo contains four members of Kataklysm fame). His vocals here roar like a general maintaining control of forces in their thousands; he has a commanding presence that aptly conveys the desired images of battle, glory and triumph. “I am the general you cannot kill”, he screams in ‘Ad Victoriam (The Battle of Zama)’, a dark, powerful track that immerses you in the throes of the iconic battle itself. The Immortal Wars easily transports us to the bloody battles, dusty battlefields and awesome sights of lands unknown, thanks in a large part to Iacono’s vocals. The elements of symphony throughout only add to the grand, powerful atmosphere and imagery Ex Deo purvey. Cries of war elephants and the operatic sounds of brass and strings over The Immortal Wars‘ chunky, heavy base only help to transport you to the harsh environments and challenging situations of Hannibal and Africanus. . It may sound pompous and over-inflated at first, but The Immortal Wars is storytelling in metal at its best. While each track tells a different tale, the album is thoroughly consistent in its effortless ability to evoke images of the stories each song is telling; tales of hardship and gruelling tasks such as in ‘Crossing the Alps’ mix in with songs of might and bloodshed like ‘Hispania (Siege of Sagnutum)’ and ‘Ad Victoriam (The Battle of Zama’). The Immortal Wars is never short on power. From the pounding, powerful opener ‘The Rise of Hannibal’, through to the big finale of ‘The Roman’, The Immortal Wars embodies the aura of a Roman general telling his tales of valour, might and death. 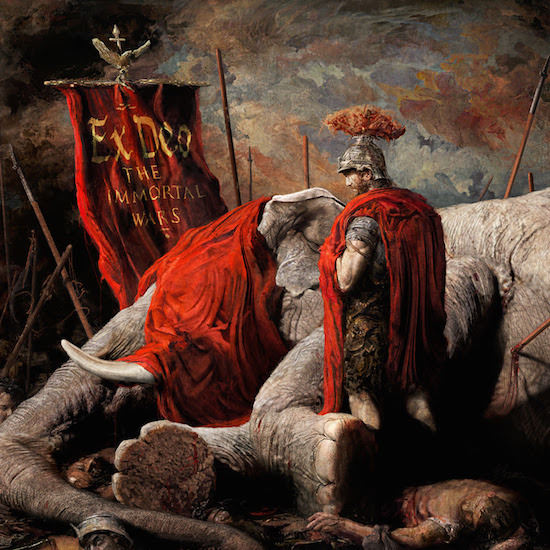 The combination of chunky riffs, pounding drums and symphonic moments bring a rich, powerful texture to Ex Deo’s latest that transports you right into the middle of Hannibal’s wars against Africanus. You can see the blood and dirt of the battlefields, and feel the harsh environments of the Alps, the spit streaming from your general’s mouth as he screams for honour, glory and triumph. Now men, to war!